Exclusively practice USA federal immigration law nationwide and globally. ​We help our clients with visas, green cards, waivers, U.S. citizenship. To contact an attorney or to schedule a consultation, please email us. ​Smal Immigration Law Office operates as an online-based immigration law office. We establish initial contact with our prospective clients via email communication. All telephone or video call consultations with an attorney must be pre-scheduled via email. Luba Smal, Attorney At Law, is an attorney in private practice. Since 2004, she has been exclusively practicing the U.S. immigration law. Because the U.S. immigration law is federal law, we can represent clients from all 50 states and worldwide. Because we never outsource legal services, only an attorney will advise you, answer your questions, complete your applications, petitions and immigration forms, advise you about evidence, inform you about status of your pending case, and follow up until your case is complete. 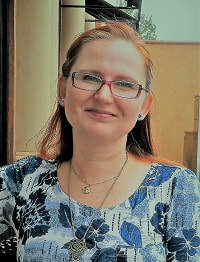 Attorney Luba Smal speaks English and Russian, and holds two law degrees: Juris Doctor Degree from Creighton University School of Law (Omaha, Nebraska, USA), and Juris Doctor Degree from Grodno State University School of Law (Grodno, Belarus). She is admitted to practice law in Belarus (1994) and Nebraska, USA (2004). For several years, Luba worked as a volunteer at YWCA Domestic Violence Hotline. In her spare time, Luba enjoys traveling, reading, gardening, and going to the movies. She loves to run, and usually works on some amazing and fun knitting project or two. Please EMAIL us first if you are looking to hire an attorney, or have a few questions, or want to schedule a consultation with an attorney. In your email please briefly explain your situation (your name, status, citizenship, problems) and what help you are seeking, and ask your questions. We will email you back within 24 hours or sooner, usually, within a few hours, and forward to you our confidential immigration questionnaire, and schedule the best time to talk over the phone or video chat. To schedule a telephone consultation with an attorney, please email to schedule. Our usual appointment hours are 9:00 AM to 5:00 PM CST Monday-Friday. A telephone or video call meeting can be also scheduled after normal business hours or on Saturday. ​We are immigrants like you, and would gladly advise and help you like we would a family member! To pay us securely through PayPal, select your option from a drop-down menu and click on a Pay Now link. ​(Reading or replying to webform or email inquiries doesn't constitute legal advice and doesn't establish attorney-client relationship. Professional and confidential attorney-client relationship can be established when an agreement for professional services has been signed by both client and attorney after appropriate interviews, review of questionnaires, facts and documents, and conflicts checks). Reading or replying to webform inquiries doesn't constitute legal advice and doesn't establish attorney-client relationship. Professional and confidential attorney-client relationship can be established when an agreement for professional services has been signed by both client and attorney after appropriate interviews, review of questionnaires, facts and documents, and conflicts checks. Copyright Smal Immigration Law Office. 2005 - 2019. All rights reserved.